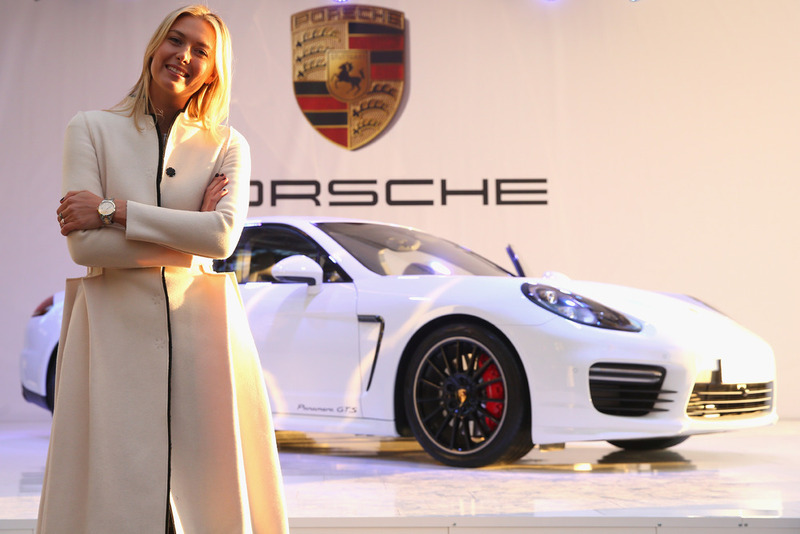 During a visit to her hometown of Sochi, Russia, Porsche Brand Ambassador Maria Sharapova presents her interpretation of an exceptional sportscar in the luxury segment – the Porsche Panamera GTS “by Maria Sharapova”. This unique Panamera is an outstanding example of transforming a serial model with exclusive individual options into a truly unique and special masterpiece. The Panamera GTS “by Maria Sharapova” demonstrates the most personal touch in terms of design, custom tailoring and exclusiveness – attributes typical of the international tennis athlete. The presented model is distinguished by a number of options from the Porsche Exclusive program, which enlarge the wide range of Porsche Panamera modifications by exclusive features and which fulfil customer wishes beyond the usual mindset. And naturally this is always fully in line with all the quality and safety requirements of Porsche AG. The exterior colour of the Panamera GTS is white; sporty, high-gloss touches on the exterior are provided by the black LED main headlights including the Porsche Dynamic Light System Plus (PDLS+), the tinted LED rear lights, the black tailpipe covers of the sports exhaust system and the 20-inch Panamera sports wheels in black. Among the Exclusive options, the Porsche Panamera “by Maria Sharapova” is equipped with an extended leather trim in the interior with decorative stitching in crème. The instrument dials are painted in the body colour white as well as the vehicle key. The front and rear headrests are embossed with the Porsche crest and the armrests are customised with the “Panamera GTS” model logo. The carbon door sill guards feature individual “Maria Sharapova” lettering. The Porsche Panamera GTS is equipped with a 4.8-litre V8 naturally aspirated engine with 440 hp (324 kW) at 6,700 rpm. It accelerates from 0 – 100 km/h in 4.4 seconds and outbursts the top speed of 288 km/h.